You'll be £4.99 closer to your next £10.00 credit when you purchase The Spartan Army. What's this? FOR AT LEAST TWO CENTURIES THE SPARTAN ARMY was the most formidable war machine in Greece; the purpose of this book is to show why this was so. Professor Lazenby looks first at the composition, training and organization of the army, tracing its roots back to the eighth century BC. He then moves on to detailed analysis of some of the most significant Spartan campaigns and battles: Thermopylai, Plataea, Sphakteria, Mantineia, The Nemea, Koroneia, Lechaion and Leuktra. Finally, the author outlines Sparta's declining power and explains the reasons for this. Since this book was first written over thirty years ago, novels, computer games and films have raised interest in the Spartan military to new heights. The return to print of this excellent study is sure to be welcomed by anyone with an interest in these formidable warriors. 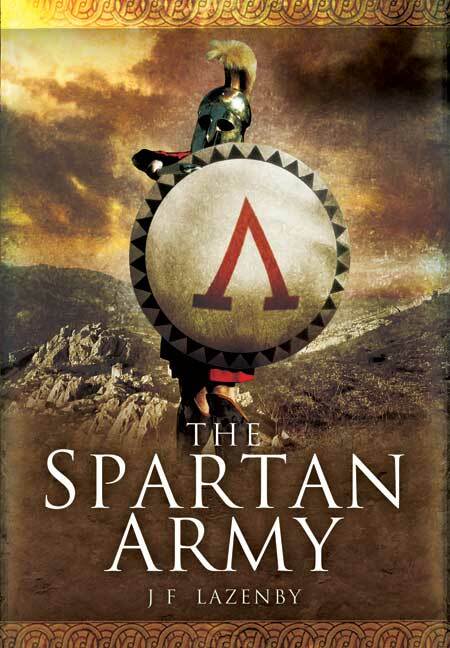 For at least two centuries the Spartan army was the most formidable war machine in Greece and the stated purpose of this republished book in paperback format is to show why this was the case. The author looks at the composition, training and organisation of the army, tracing its roots back to the eighth century BC. He then moves on to analyse some of the most significant Spartan campaigns and battles – Thermopylai, Plataea, Sphakteria, Mantineia, The Nemea, Koroneia, Lechaion and Leuktra. Finally he outlines Sparta’s declining power and explains the reasons for this. Maps and monochrome illustrations are included and a full set of notes, a glossary of Greek terms and an index round off the text. If the reader has any interest in ancient times and in particular in the Spartans, then this book is surely essential reading. ... The chapter ends with a very moving moment, when the author steps down into the narrative and descries his personal feelings on seeing the sunrise over the battlefield. The other chapters on battles are just as enlightening and the author's description of the reason for the final failure of the Spartan Army is convincing.